Located directly northwest of Downtown Houston, Sawyer Heights – or the historic First Ward – is one of the city’s oldest neighborhoods. 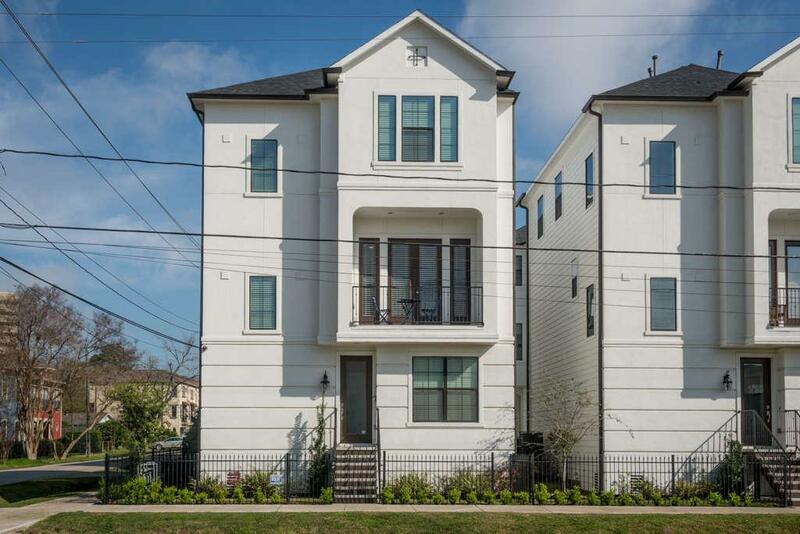 Previously Houston’s central business district, the First Ward/Sawyer Heights has become a mix of new development and preserved vintage homes. 5-MINUTE COMMUTES TO DOWNTOWN: Sawyer Heights homes are 5 minutes away from downtown by bike, Uber, or bus. Houston’s main business hub, Downtown, is home to over 3,500 businesses and 100,000 workers. RETAIL AND ENTERTAINMENT NEARBY: The First Ward is minutes away from several dining and retail hubs, including Sawyer Heights Village, the Washington Corridor, and downtown’s Main Street and Theatre District. ACCESS TO TRAIL SYSTEM: The neighborhood is located between three of Houston’s hike and bike trails: the Buffalo Bayou Trail (which connects to Memorial Park), the Heights Hike and Bike Trail, and the White Oak Bayou Hike and Bike Trail. 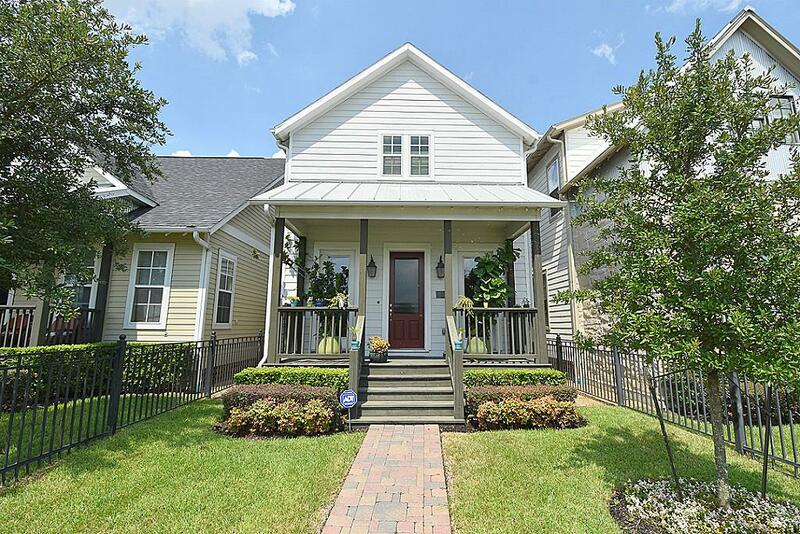 HISTORIC DISTRICT: The High First Ward district, newly added to Houston’s designated historic districts, is made up of 55 homes built between 1890 and 1930. Most feature turn of the century Queen Anne and Craftsman architecture. ACTIVE CIVIC ORGANIZATION: The First Ward Civic Council, Inc. is an all-volunteer non-profit that helps promote the neighborhood as an arts district. The FWCC also raises funds that go into several projects, including community events, community garden, and beautification. First Ward/Sawyer Heights real estate can be tricky to navigate. Some homes are near main roads (which can affect resale), while others are within the historic district (which have restrictions). A good number of properties in Sawyer Heights are outdated and need major renovation. 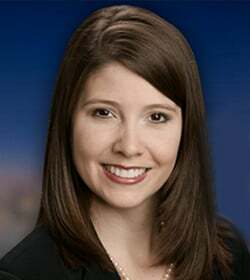 Contact Paige Martin, one of the top ranked Realtors in Houston, for information on buying or selling Sawyer Heights real estate. Enter your email to get this free Sawyer Heights guide in easy-to-read PDF format. 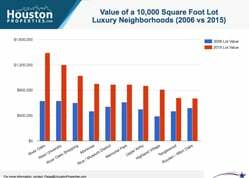 Bonus: Also see how this area compares with nearby top neighborhoods. I am interested in Sawyer Heights and would like to get more details. Founded in the 1890s, Sawyer Heights is an established Houston neighborhood now known as an arts district. Sawyer Heights homes are 5 minutes away from downtown by bike, Uber, or bus. Downtown features over 3,000 businesses and 100,000 workers. The First Ward is minutes away from several dining and retail hubs, including Sawyer Heights Village, the Washington Corridor, and downtown’s Main Street and Theatre District. The neighborhood is located between three of Houston’s hike and bike trails: the Buffalo Bayou Trail (which connects to Memorial Park), the Heights Hike and Bike Trail, and the White Oak Bayou Hike and Bike Trail. The High First Ward district, newly added to Houston’s designated historic districts, is made up of 55 homes built between 1890 and 1930. Most feature turn-of-the-century Queen Anne and Craftsman architecture. The First Ward Civic Council, Inc. is an all-volunteer non-profit that helps promote the neighborhood as an arts district. The FWCC also raises funds that go into several projects, including community events, community garden, and beautification. The First Ward/Sawyer Heights area, like some neighborhoods around downtown, fell into disrepair for some time. Interest in the area, as well as strong community involvement, led to the redevelopment of the neighborhood into a historic and arts district. 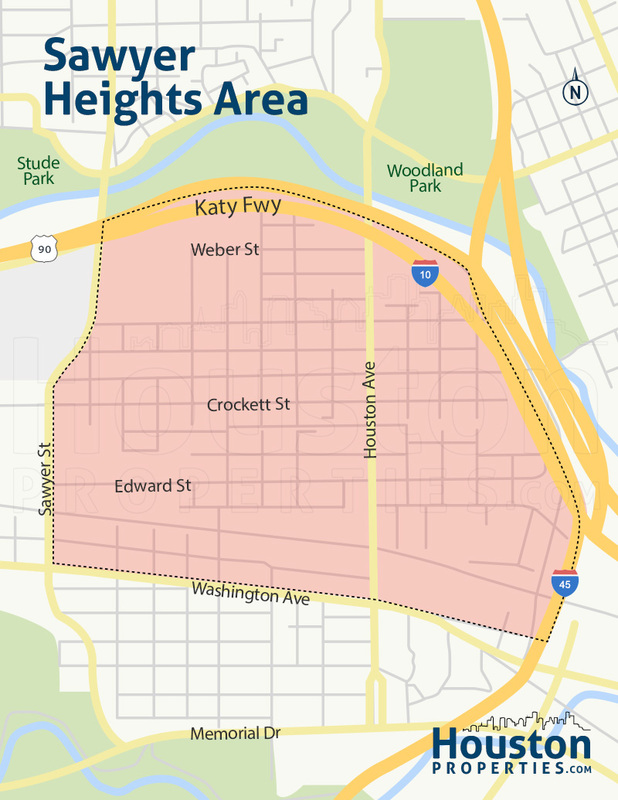 The neighborhood is zoned to the Houston ISD’s Crockett Elementary, Hogg Middle, and Heights High School. Homes in the neighborhood can feature 2- to 3-bedroom floor plans. Living spaces can range from 800 to around 2,500 square feet. Lot sizes are typically between 2,000 and 8,000 square feet. Development in the area boomed in the last few years, leading to the tear-down of older homes in favor of townhomes. Sawyer Heights townhomes often feature 2- to 3-story floor plans with 3 to 4 bedrooms. Home sizes range from 1,400 to around 3,000 square feet. Prices for Sawyer Heights homes for sale can range from $150,000 to more than $650,000. The historic First Ward, known to some as Sawyer Heights, is one of Houston’s oldest neighborhoods. It was founded in 1890s, covering the area north of Congress Avenue and west of Main Street. The neighborhood is roughly bounded by I-10 to the north, I-45 to the east, Washington Avenue to the south, and Sawyer Street to the west. 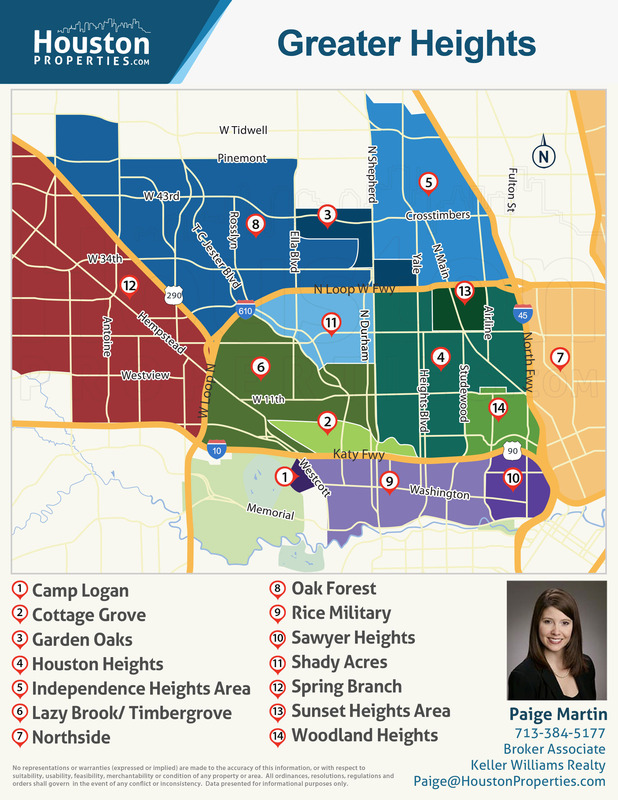 The First Ward has Rice Military/Washington Avenue to the west, downtown to the southeast, Woodland Heights to the north, and Neartown/Montrose to the south. Sawyer Heights Village, a retail center just off I-10 and Taylor Street, is minutes away from the neighborhood’s homes. It features more than 30 shops and restaurants, including Target, La Madeleine, and Panda Express. For more options, residents can easily visit downtown’s vibrant retail and entertainment centers. The Washington Corridor, another dining and nightlife destination, is also minutes away. The Heights Hike and Bike Trail also runs through the First Ward. The trail winds south to downtown, and north to the Heights. The White Oak Bayou Greenway Trail is easily accessible via the Heights trail. The Buffalo Bayou Trail is a few blocks south of the neighborhood. 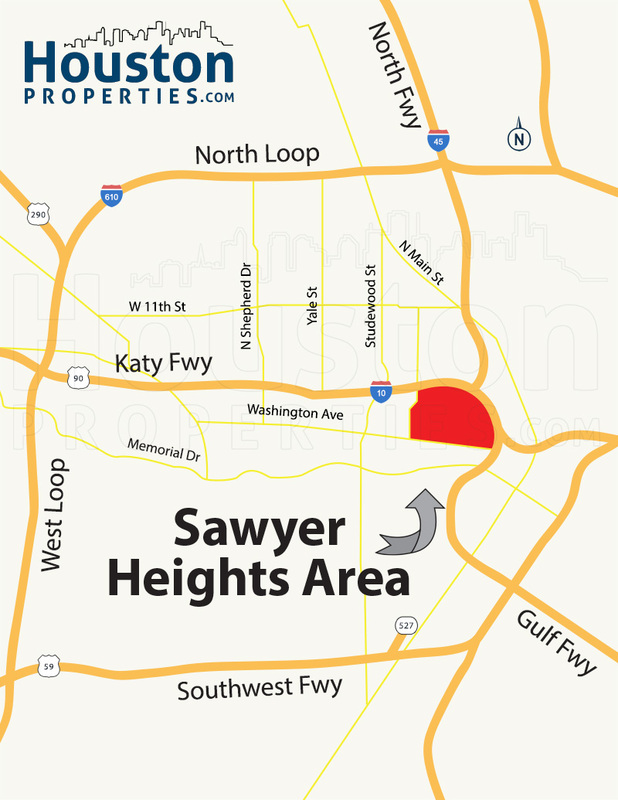 Sawyer Heights real estate have a 77007 Harris County zip code. Sawyer Heights homes are zoned to the Houston Independent School District (HISD). Crockett Elementary School at 2112 Crockett St. A Magnet School for Performing and Visual Arts, Crockett Elementary School is located in the First Ward. The school features classes in music, ballet, visual art, and rhythmic dancing. Hogg Middle School at 1100 Merrill St. Hogg Middle School is located in Woodland Heights. The school offers the International Baccalaureate Middle Years Programme, together with AP and Pre-AP core classes. Heights High School at 413 E 13th St. Formerly known as John H. Reagan High School, Heights High is an International Baccalaureate World School. In addition to the IB program, the school is also a computer technology magnet school, with programs and courses in science, engineering, business, and others. The following are some of the more notable private schools near Sawyer Heights. To find an updated listing of all Sawyer Heights real estate zoned to any specific public school, please send an email to Paige Martin at Paige@HoustonProperties.com with the property preference and budget that you’re working with. Real estate in the First Ward/Sawyer Heights is made up older cottages, vintage bungalows, and new construction townhomes. Average home price in the area is at around $400,000. Some parts of the area are within a designated historic district, and are protected by deed restrictions. Increased demand in the neighborhood led to a shift during the early 2000s. Many of the First Ward’s older homes were torn down and replaced with townhomes. 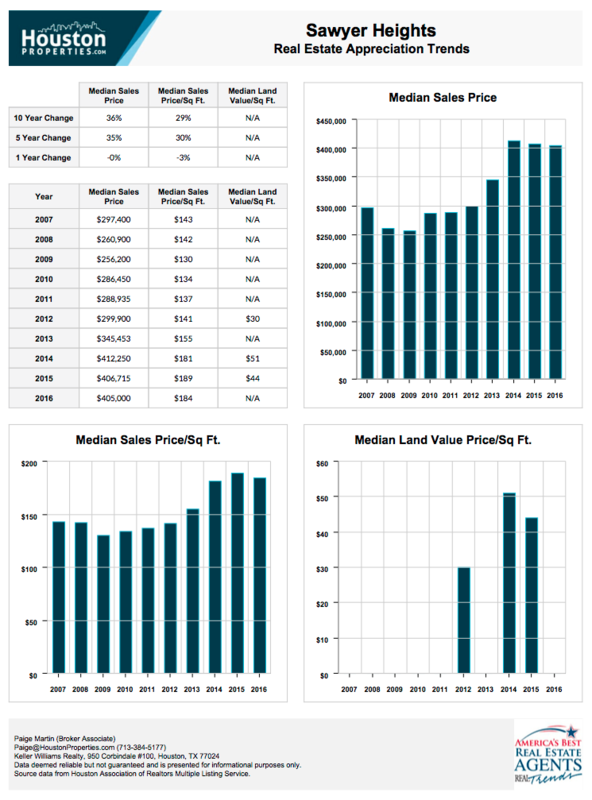 For updated information regarding Sawyer Heights real estate pricing and trend analysis, please contact Paige Martin at Paige@HoustonProperties.com. First Ward/Sawyer Heights single-family homes are typically older cottages and bungalows, some of which date back to the 1890s. The neighborhood’s older homes are great samples of turn of the century Victorian, Colonial, and Craftsman architecture. Most feature single-story floor plans with 2 to 3 bedrooms. Home sizes range from 800 to around 2,500 square feet. Lot sizes are typically between 2,000 and 8,000 square feet. Many of Sawyer Heights’ older homes have since been torn down to make way for new construction townhomes. Townhomes in the neighborhood are new or recent construction, built between 2000 to 2017. Some are within gated communities that offer resident-only amenities. Two- to three-story construction is common, with 3- to 4-bedroom floor plans. Lot sizes are smaller compared to their detached counterparts, ranging from 1,400 to around 3,000 square feet. 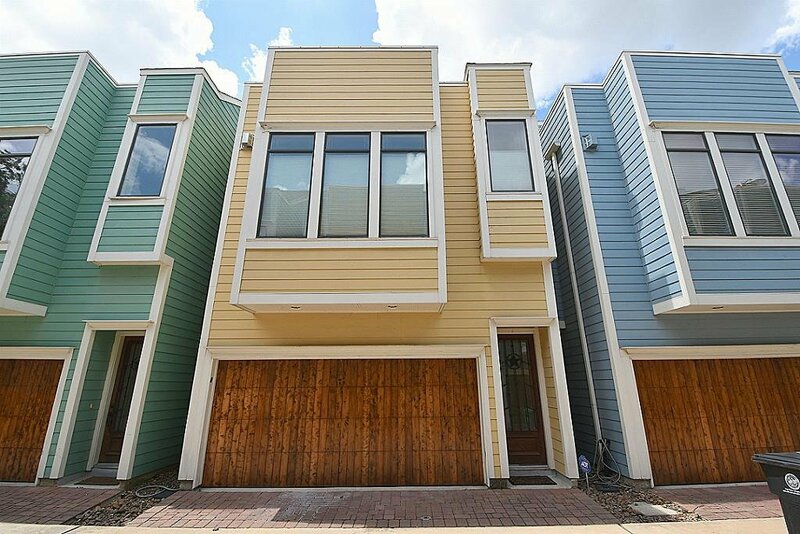 Prices for townhomes in First Ward/Sawyer Heights can start at $300,000. 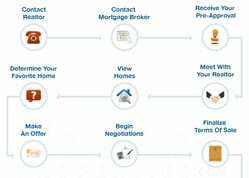 Newer and bigger properties can sell for upwards of $500,000. There are no mid- or high-rise residential buildings in Sawyer Heights, but there are plenty of units available in nearby areas like Downtown (some of which are near or along the METRORail) and and Houston Heights. 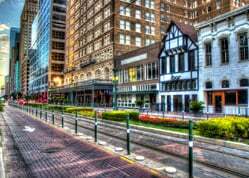 Historically Houston’s original central business district, the First Ward was first established in 1840. The area was one of the original four wards (taking up the area north of Congress and west of Main). The First Ward was, at the time, made up of farms. It later became a warehouse district because of the area’s proximity to Houston’s docks. Many of the area’s residents at the time worked as laborers, railroad employees, and grocers. Like some neighborhoods close to downtown, the First Ward suffered a decline as residents moved to the suburbs and most buildings in the area fell into disrepair. In the 2010s, the First Ward became a re-emerging neighborhood. An art community flourished in the area, with help from the First Ward Civic Council (which helped promote the area as an arts district). Developers became interested as demand for housing close to downtown’s workplaces increased. Many of the area’s older homes were torn down in favor of new townhomes. A neighborhood landmark, Jefferson Davis Hospital, was redeveloped into Elder Street Artist Lofts during this period. The First Ward later became known to some as Sawyer Heights, after the retail center built in the area (along I-10 and Taylor Street). The First Ward/Sawyer Heights area has plenty of dining, retail, and entertainment options within its borders. 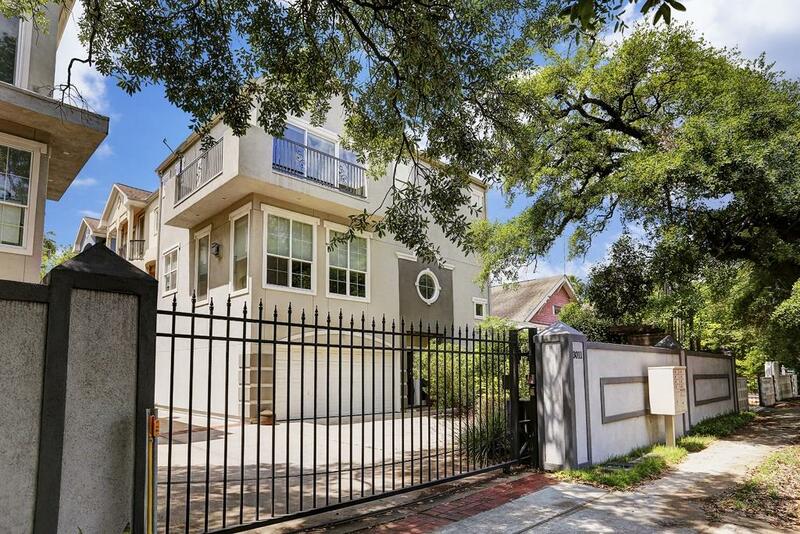 There are, however, plenty more in nearby districts, including downtown Houston. Sawyer Heights Village, located along I-10 and Taylor Street, is a shopping center with more than 100,000 square feet of leasable space. Retail in the area include Target, Staples, and Payless. Several restaurants, bars, and other commercial establishments line Washington Avenue, also known as the Washington Corridor. A section of the Heights Hike and Bike Trail goes through the neighborhood. The 8-mile trail winds from the northern tip of downtown, south of Northside Village (Near Northside), north of First Ward (Sawyer Heights), and straight into the Greater Heights area. For more options, residents are minutes away from downtown’s vibrant districts like the Theater District, Market Square Park, and the Ballpark District, among others.